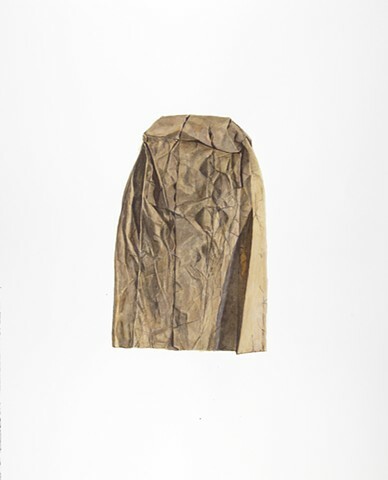 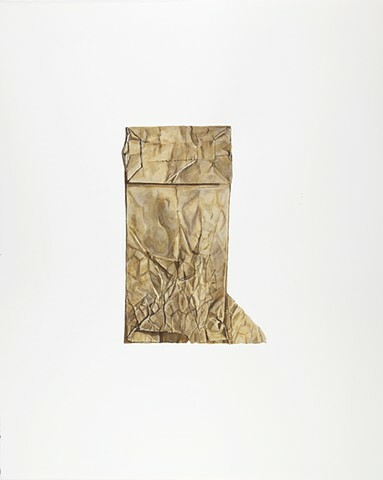 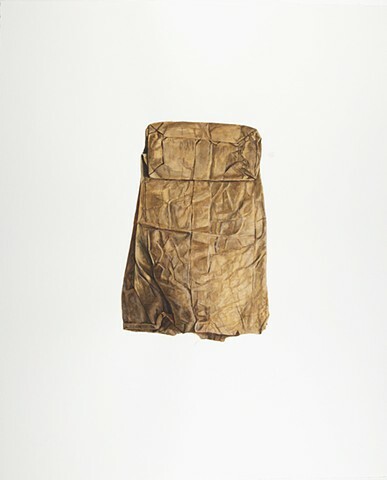 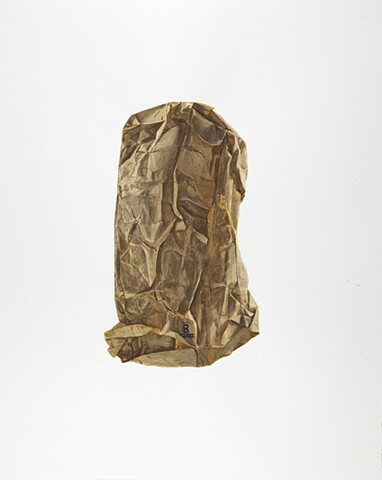 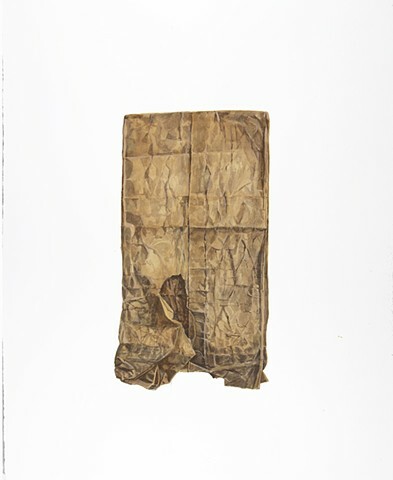 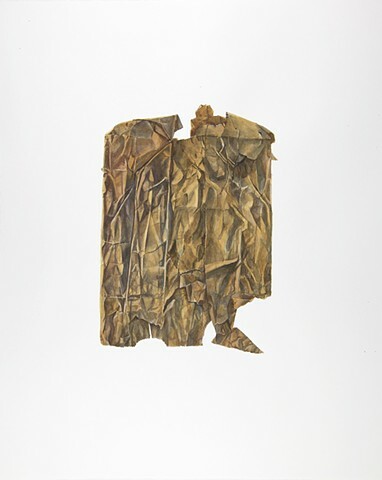 Jacinda’s Lunchbags depicts the tattered brown paper sacks reclaimed, reused to the point of deterioration, and kept for extended contemplation by Jacinda Russell. 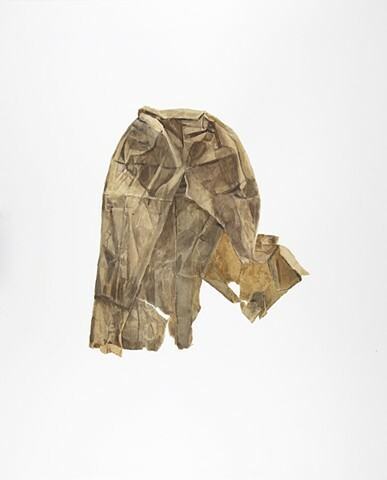 Russell is an artist driven by the need to locate significance in the detritus of the everyday, to find evidence in the residue of her existence that that existence is in fact meaningful. 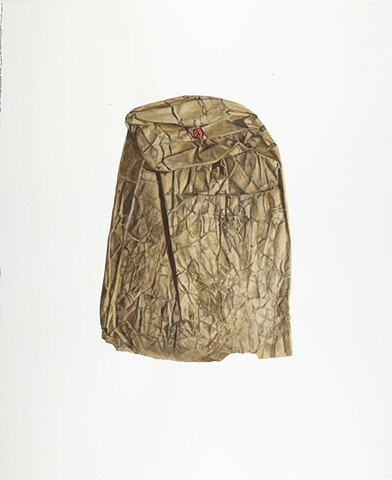 The bags, like all of Russell’s collections, serve as physical evidence, a sort of place-holder, for a distinct period of time in her life. 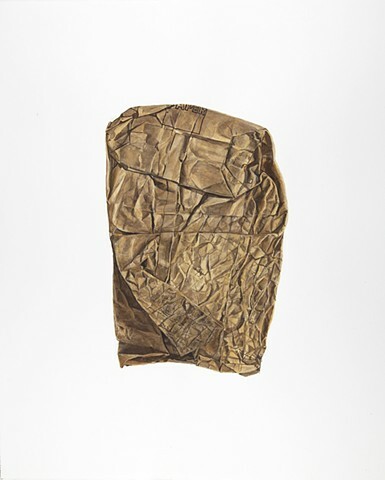 I was struck by the complex wrinkled surfaces of the bags, and by the way in which the surfaces had become embedded with the memories and intense personal significance of their owner. 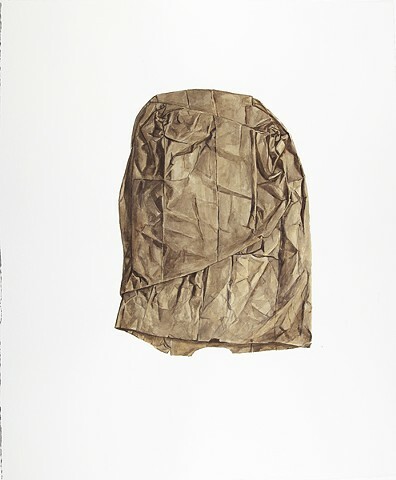 In drawing them, I aimed to explore this relationship between (physical) surface and (emotional) depth. 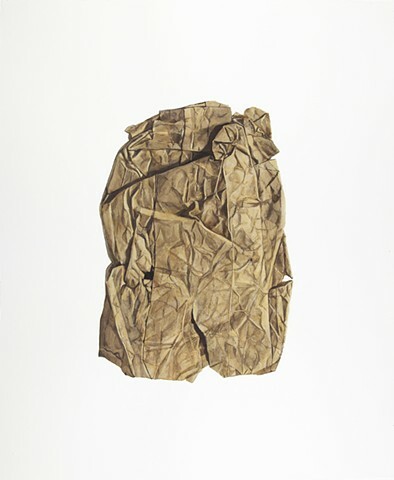 In mapping their intricate wrinkles and shadows I wanted to echo Russell’s act of imprinting the insignificant with significance. 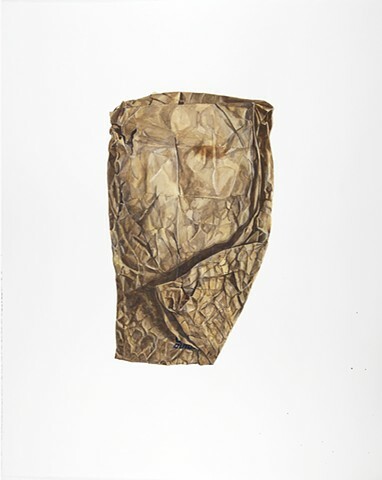 They became like strange faces, each with their own expression, character, complexion, and history.